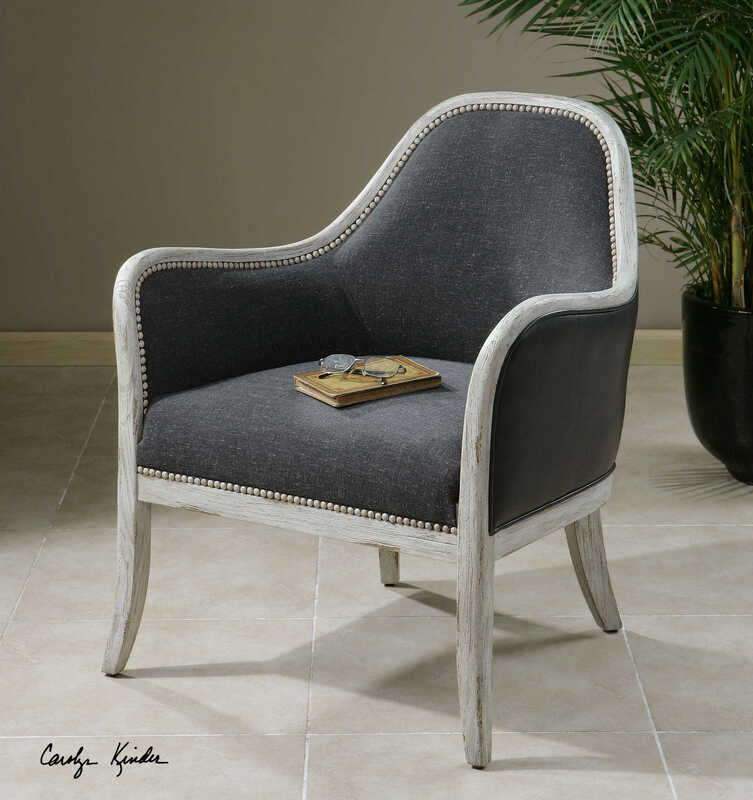 Designed by Carolyn Kinder International, the Dayla Accent Chair is the ultimate in casual comfort. This beautiful accent chair features a washed indigo, linen seat with crusted ivory accent nails and whitewashed pine frame. Outside arms and back are supple faux leather. Seat height is 19 inches. Available to trade professionals at Uttermost.com. For retail purchase Google keyword “Carolyn Kinder Dayla Accent Chair”.